Ancestors, Uncles, Aunts and Cousins who migrated west of the Rockies prior to 1900. John Anderson first married in 1894 to Ida C. [__?__] (b. Jul 1870 New York) Ida’s parents were born in Scotland. In 1879 he was a 21 year old tinsmith living in Alameda County’s second ward (North Oakland). In the 1900 census John and Ida were living in Salt Lake City where he was a real estate agent and in the 1910 census they were living in Seattle where John was the proprietor of an apartment house. Beulah met her husband when she did private nursing for him. He had forty acres of oranges in Lindsay (20 valencia, 20 navel) and was a rich man in good years. He thought his daughter Alice was a miraculous wonder. He had no children by his first wife. John’s father John George Anderson Sr. was born 13 Mar 1823 in St. Alban’s, Vermont. His parents were William Anderson (b. 1799 in Scotland – d. 11 Dec 1891 in Salt Lake City) and Agnes [__?__]. John died 15 Feb 1910 in Seattle, Washington. John’s mother Mary Williams Diffenderffer was born 12 Nov 1832 in Baltimore, Maryland. Her parents were Dr. Michael Nicholas Diffenderffer (b. 22 Apr 1812 Baltimore, Maryland – d. Nov 1850 Diamond Springs, El Dorado, California) and Mary Barney Williams (b. 14 Aug 1813, Maryland – d. 8 Aug 1850 12 miles east of the sink of Humboldt River in Nevada.) Mary died 15 Oct 1893 in Chicago, Illinois. John George Anderson Sr. arrived in Sacramento ca 1850, from New Orleans, via the Isthmus of Panama, then by clipper ship, to San Francisco, then up the River. There he met Mary Williams Diffenderffer. She had arrived in Sacramento from Placerville, where her father, Dr. Michael Nicholas Diffenderffer, died after a long and ardous wagon train trip had brought the family from St. Charles, Missouri. Her mother had died and was buried 12 miles east of the sink of Humboldt River in Nevada. Free Masons brought Mary (age 18) and three younger siblings to the home of the Worshipful Master of their Lodge in Sacramento, where he cared for them. Mary and John George were married in Sacramento on 23 Jun 1851. Family stories say that they lived in a log cabin where the State Capitol now stands. In the 1880 census, John George Sr was a hardware merchant in Oakland, Calif.
William SHAW was born in 1830 in Edinburgh Scotland according to the 1880 census. On the other hand, he is recorded to be 44 years old in the 1870 census, putting his birth at 1826 and there was a single farmer William Shaw from Scotland in Vienna Township, Dane County, Wisconsin age 36 in the 1860 census which would put his birth at 1824. William left behind 2 sisters in Edinburgh and came to New York City when he was 15 . Later, when he was 21, he sailed around Cape Horn to California gold fields and clerked in a store. William made enough money to go to Dane County, Wisconsin (cherry belt) where there was a Scottish community and purchased a farm in Vienna Township. William married Ruth Agnes FOSTER 3 Aug or 27 Jul 1861 when he was 34 and she was 18. After Phebe died, he married 5 Nov 1837 to Mrs. Mercy Hurd. Mercy Foster Crosby (b. 1808 in Brewster, Barnstable, Mass. – d. 9 Jan 1885 in Suisun, Solano, California; Burial: IOOF Block 44 Grave 7, Fairfield-Suisun Cemetery) Josiah and Mercy and six more children born between 1838 and 1848, two in South Perinton, Monroe, New York, three in Medina, Orleans, New York and one in Wheatland, Hillsdale, Michigan. These children came with their parents to California. After Phebe’s death, Josiah went back to Brewster, Mass., where he married a widow, Mercy Hurd. He sold the farm in New York and moved to Michigan. The gold discovery in California drew him away from farming to try his hand at the more lucrative business of transporting passengers and cargo to the gold fields. He moved the family to Cape Cod, Mass. Once in California, he went into the business of supplying building materials, goods and food for the miners. He established a very profitable business when he began sailing out of San Francisco to Sacramento. Josiah also converted the ship that he sailed around the horn, The Diantha, into a store ship and then built the Pine Street Hotel in San Francisco from the timber that he had brought with him. Evidently The Diantha never sailed again and was broken up or allowed to sink in the bay, the fate of hundreds of ships whose crews jumped ship to pursue the lure of gold. Followed the acquisition of the schooner Ann Sophia, in 1852, Josiah Wing came to Suisun. He purchased Suisun “Island” and a tract of adjoining marshland, about 600 acres in all, for $500. He established a permanent wharf at Suisun and built a warehouse with sleeping quarters, then moved his wood-frame home from its location on Pine Street in San Francisco to Suisun. He also discovered, that at low tide, Suisun was not an island. Using willow logs, he raised the low-tide connection between the island and the Suisun Valley shoreline. Later this connection would be called Union Avenue. Next, he sent for his family back in Massachusetts. His wife, Mercy, and children reached San Francisco in August of 1852..
With wife Mercy, and the 10 children from both their marriage and his previous marriage, the family became the founders of Suisun City. The embarcadero quickly grew into a bustling business district, especially for the farming community in the upper county area. 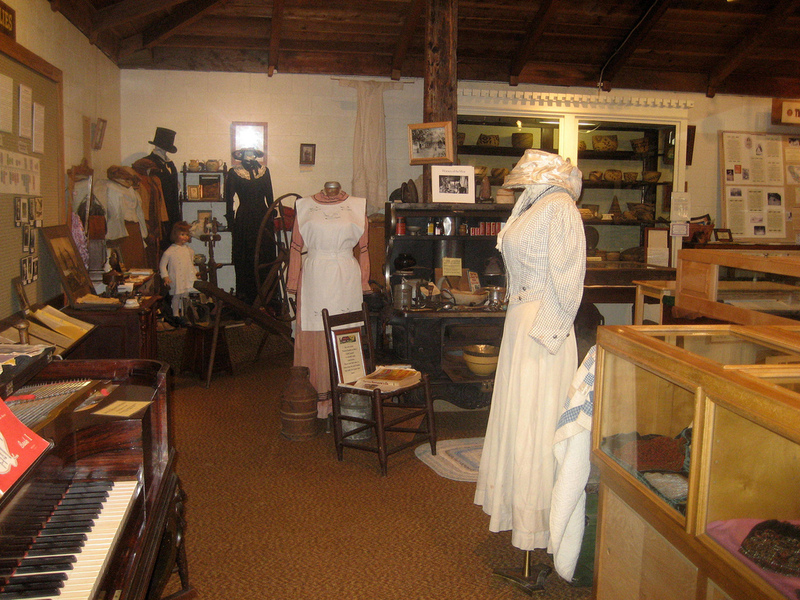 During the first summer of 1851, the settlement’s first store opened, operated by John W. Owens and A.W. Hall. Records of 1852 note shipments of potatoes, another of the early local attempts to develop a variety of agricultural commodities. In 1854, Capt. Wing began plans for the layout of the new town, with street grids and lot subdivisions with assistance by Owens to be called Suisun City. By 1857, the old wood-frame home became too small for the Wing family. Never hesitating to acquire new land and to settle anew, Capt. Wing purchased a 23-acre farm west of the town, built a new house and moved his family [to what is now Fairfield]. This would remain their home until 1874. An early settler, James Thomas Wells, recalled in 1925 “There was not much here” except a slaughter house and Captain Wing used to have the wild grain around here harvested and then take it down to San Francisco in his schooner. Allen Miller and J. B. Lemon, his brother-in-law, were already settled here, having come to California in search of gold. 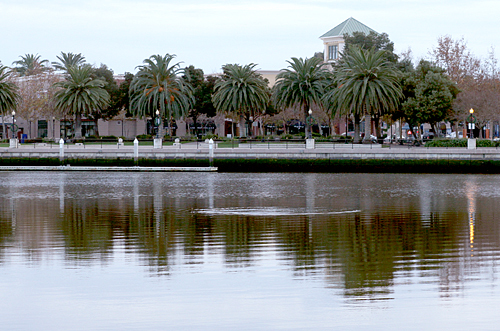 Suisun became a bustling port of commerce where fortunes were made. At the time, there was a wheat boom. There was a huge demand in Europe for flour. In the 1850 census, Josiah was ship master in Brewster, Barnstable, Massachusetts. In the 1860 census, Josiah was a seaman in Suisan, California. By the late 1850s, he sold part of his landholdings in Suisun, including the wharf. Josiah kept sailing his new ship, The Ann Sophia, on the Sacramento River, and was especially busy at harvest time. He found the land holdings to be a distraction from his first love of shipmaster, He continued to use the wharf for his business until 1864, when he also sold the Ann Sophia. In 1857 he purchased a 23-acre farm a few miles west of town, put it in Mercy’s name and connected it to Rockville Road by a plank lane built by Chinese workers. The new farmhouse would remain the Wing home until after Josiah’s death in October of 1874, when Mercy went to live with her son. In 1868, residents petitioned the Solano County Board of Supervisors that steps be taken to grant the country town the rights and privileges of a city. The big moment came on Oct 9, 1868, when the Solano County Board of Supervisors voted to accept the petition. To do so, petitioners had to prove that Suisun had more than 200 residents, all of whom had lived there for more than 30 days, and that a majority of these residents supported the incorporation by signing the petition. The drive to incorporate was spearheaded by Samuel Breck, who was the supervisor representing the area on the Board of Supervisors. Surprisingly, Capt. Wing’s name is not among the petitioners recorded in the Board of Supervisors’ minutes. Nor is his name among the list of voters for the federal election or the election to form the first Suisun City government, although his son, Chillingsworth Wing, is listed. Instead of local politics, Josiah’s interests had shifted back to the sea. Over the previous decade, he had made changes to his holdings that eventually allowed him to be gone for much of the year. In the spring of 1866, at age 67, Josiah Wing went back to sea. This time, the North Pacific beckoned with its highly profitable fishing grounds. . He mastered the brig Pride of the West to catch fish in the North Pacific. His voyage was “crowned with success,” according to news reports.For the next five years, he fished the Pacific Northwest, sailing all the way to the Okhotsk Sea, off the Russian Coast. In some years, he would return with nearly 100,000 caught codfish. The next year he took command of the Dominga and for the next five years he sailed to Petropoulski, on the Okhotsk Sea, returning each autumn with 70,000 to 100,000 codfish. Other fishing expeditions took him to New Zealand. In 1871, he planned on arriving back in Suisun to give the bride away, when his daughter Laura married, but he was delayed for 18 days by calm winds. His final voyage ended in November 1871. At age 72, he left the sea for good and he decided to open a fish market. Some of the earlier historical resources sometimes hint at a rivalry between the two local sea captains and city founders, Capt. Robert Waterman of Fairfield and Wing of Suisun. Looking at Wing’s life and interests, especially in his later years, I don’t see this as a factor in his life. Both men had very different experiences as captains. Captain Waterman was a clipper ship captain sailing to China, where he met his partner, Capt. Archibald Ritchie. Wing on the other hand was a packet captain sailing along the East Coast. It is doubtful that the two knew each other prior to coming to Solano County. Wing chanced onto the land in Suisun Bay while sailing between San Francisco and Sacramento and recognized the location as an opportunity to establish a good home base for his business and his family. Although this decision resulted in the founding of Suisun, after the first few years, he seemed not to have participated actively in its growth or political formation. Rather, he continued to do what he loved best – raise his family, farm his land, and – foremost – sail the high seas. Wing died on Oct. 4, 1874, and was mourned by the community as a well-liked member, according to his obituary in the Weekly Solano Republican on Thursday, Oct. 8, 1874. “The early settlers of this county will regret to learn of the demise of one of their number in the person of Capt. 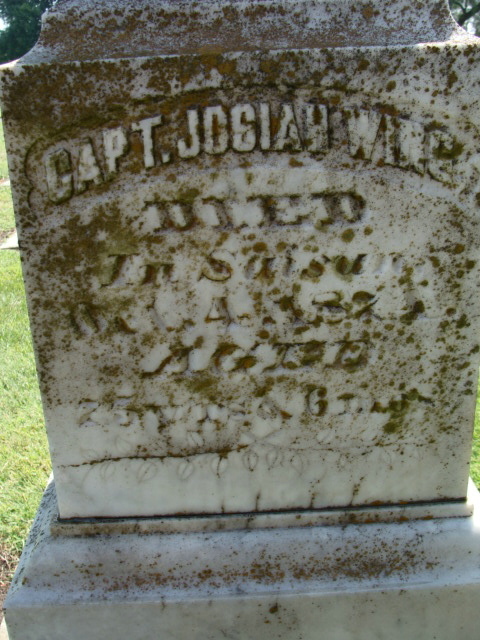 Josiah Wing, of this place, who died on the morning of the 4th instant, at the age of 76 years and five months, having been born on the 4th day of April 1798, at Brewster, a town on Cape Cod, Massachusetts. Capt. Wing came to California in 1850, bringing with him in his vessel the frame and material of a house which he erected in San Francisco, but which was subsequently – 1852 – taken down and brought to this place and occupied by his family (which arrived earlier that year) and is the one now occupied by E. Littrell as a restaurant. “He was the first person who ever navigated Suisun Slough, and he erected the first dwelling-house and the first warehouse in this place. A few years later he removed to a farm about two miles from town, where his family has ever since resided, though he was usually absent at sea until within the last two years. Here’s a side note — Increasing prosperity allowed the Wings, like many families at the time, to employ a number of servants to run the family home and farm. Among the earliest servants mentioned is Adam Willis, whose personal history illustrates an often-ignored aspect of California history. Willis was of African-American descent and came to Solano County as a slave. Willis was born in Missouri in 1824 and was later either inherited or bought by the Vaughn family in Saline County, Mo. In 1846, Maj. Singleton Vaughn decided to move west, accompanied by Willis. Vaughn first settled in Woodland and then moved to Benicia. In 1852, he decided to bring his whole family. Willis, then age 23, was put in charge of the overland trek. Willis remained with the Vaughn family until he was given his freedom on Sept. 25, 1855. The letter recording his manumission recently was discovered in the Solano County Historical Archives and will be part of an upcoming exhibit at the Museum of the African Diaspora in San Francisco. Once free, Willis set out as a cook, working in the Suisun area. One of the families he cooked for was that of Capt. Wing. Willis also worked as a cook for various other families, several hotels and the Solano County Hospital in Fairfield. He died Nov. 20, 1902. 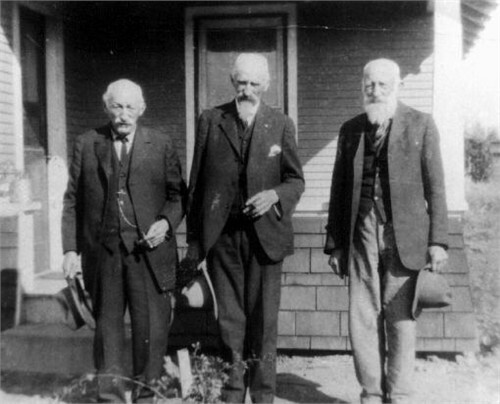 William L. LATTA’s grandsons John and Thomas Latta went to Oregon in 1852. During the latter part of the trip Thomas with others rode forward for help, as provisions were low. He was 48 hours in the saddle without food. Died shortly after from exhaustion and mountain fever. John had a cattle ranch near Prineville OR and was a prominent man there. 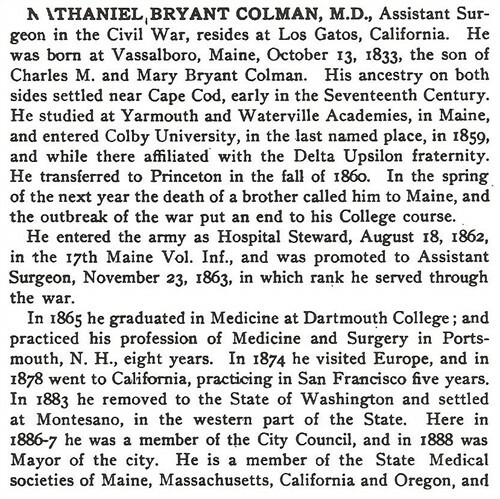 Joseph COLEMAN’s grandson Daniel Bryant Coleman was born in Jan 1826 in Vassalboro, Kennebec, Maine;. Daniel married 1858 Butte County, Calif to Mary Elizabeth Moore (b. 22 Sep 1839 in Springfield, Sangamon, Illinois – d. 14 Jul 1910 in Kimshew, Butte, California) Daniel and Mary had seven children born between 1858 and 1881. Daniel died in 1905 in Kimshew, Butte, California (Near Chico). Daniel’s brother Henry Coleman was born in 1828 in Vassalboro, Kennebec, Maine and died 1 May 1861 in Vassalboro, Kennebec, Maine. Henry and his brother Daniel came to the California Gold fields in 1852. Henry returned to Maine, but Daniel stayed. 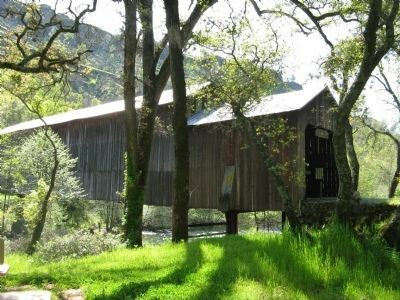 The Honey Run Covered Bridge crosses Butte Creek and intersects with Centerville Road in Butte County, California leading to Butte Canyon where Daniel’s family lived. It is located about halfway in between Chico and Paradise in northern California. It is one of the few covered bridges left in California and is the only tri-span bridge in the United States. John HENRY was born about June 1835 in Ireland. John married Hannah LARKIN. John and Hannah arrived in San Joaquin, California in 1854. John died 23 Dec 1865 in Linden, California. Hannah Larkin was born in 1829 in Ireland. 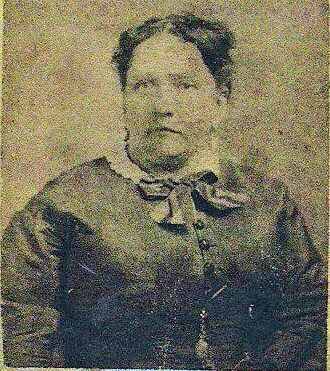 Hannah was recorded as living in San Joaquin County, 51, widowed and head of household in the 1880 census. It must have been very difficult to raise five daughters on your own as a single mom in a new country in 1865. The 1860 census showing John 24, Hannah 26, Ellen 2, and Margaret 1, living with the John Fagin family near Foremans Ranch (later Peters halfway between Linden and Farmington) in Douglass Township in San Joaquin County. Within Douglass Township lie the towns of Peters, Linden and Farmington. The Fagins were about the same age as the Henrys: John (27) Kate (17) and Michael (20), Lawerence Larkin age 23 (Hannah’s brother?) was living there too as a farm laborer. The village of Linden of about 400 population is situated on what was known in the early days as the Mokelumne Hill road twelve to thirteen miles from Stockton in a northeasterly direction, and two miles south of the Calaveras river. Originally this point was known as the Fifteen-Mile House, and then as Foreman’s ranch up to August, 1862, when it was laid out by Mr. Foreman and given its present name by J. Wasley. In the spring of 1849, when water covered nearly all the country around, two brothers named William D. (a doctor) and John Trebilcock, who were freighting to the mines, noticed the highest point of land in the valley on this route, and, soon afterward locating here, opened a public house, which was at first merely a rough board shanty. It was named the Fifteen-Mile House, on account of its distance by road at that time from Stockton. In the summer of 1851 they put up a better building, and afterward made additions. Subsequently these brothers sold the house to C. C. Rynerson, who married their cousin, Mary Wasley, and who was afterward sheriff of this county. The latter sold to Foreman & Beritzhoff, and it was long known as the Foreman ranch. After Mr. Rynerson, the second settler, came John Haines, Samuel Foreman and A. C. Beritzhoff, the last two being the later proprietors of the tavern just mentioned. The Moore school-house was the first built in the township, Linden being a part of the district: it was on Charles Hayden’s ranch. In August, 1858, the Jefferson school district was formed, taking in the present village sites, and that year the first school-house was built. In 1862 the name of Linden was given to the district. In 1864 the old school-house was burned down, and since then several new ones have been erected. A 1878/79 business directory of Douglass Township, San Joaquin, California shows Mrs. Hannah Henry as a farmer with 160 acres in Linden. According to the directory, Hannah arrived in San Joaquin and California in 1854. 1880 Census Douglas Township, San Joaquin, California – Hannah Henry 51, Maggie Henry 21, Delia Henry 20, Agnes Henry 18, Kitty Henry 15 Ellen either died or got married by 1880. Nathan BALCOM’s granddaughter Julia Ann Balcom was left behind when her husband Jeremiah went to seek his fortune in California. Julia Ann Balcom b: 1827 in Sutton, Merrimack, New Hampshire – d. 30 Mar 1896; m. 7 Sep 1845 in Lowell, Middlesex, Massachusetts to Jeremiah Hedges (b. 15 Jul 1819 in Chelsea, Orange, Vermont – d. 15 Feb 1888 in Clinton, Barron, Wisconsin) His parents were Herman Hedges and Clarissa Wright. In the 1860 census, Julia was living in Newton, Middlesex, Mass with three children Horace (b. 31 Dec 1846 North Chelmsford, Mass – d. 2 Mar 1932 Riverview Cemetery, Trenton, New Jersey), Julia Isabella (b. 1848 Mass – d. 13 Dec 1941 San Diego) and Lucinda “Lillie” E (b. 1853 Mass.) Meanwhile, in 1860, Jeremiah was trying his luck as a blacksmith in Weaverville, Trinity, California. His household of nine men and women included a saloon keeper, some miners, a housekeeper and another blacksmith. The motley crew were from Pennsylvania, Ireland, Maine, New Hampshire and Prussia and France. In the 1870 census, Jeremiah was farming in Big Rock, Kane, Illinois, joined by his son Horace who had married in 1869 to Kate Mutchler (b. 2 May 1844) and daughter Julia J who in 1867 had married John R Atwood (b. 1842 Maine) Horace had enlisted in 1866 for three years of service in the army. 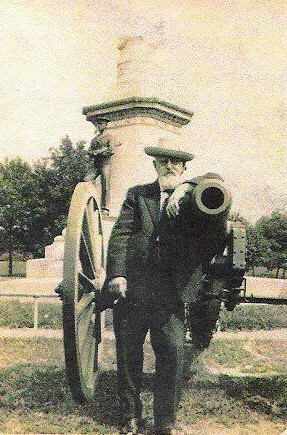 John Atwood was a Civil War veteran who had enlisted in Company E, Maine 19th Infantry Regiment on 25 Aug 1862 and mustered out on 15 Apr 1864. In the 1910 census, John and Julia were farming in Lemon Grove, San Diego, California. Meanwhile in 1870 Julia was a housekeeper for Thomas Ranney in Newton, Middlesex, Mass. William L. LATTA’s grandsons Reuben G. and Robert Wallace Latta both died in early California accidents. Reuben G Latta b. 27 Apr 1826 in Ross, Ohio; d. 14 Aug 1860 Nevada City, California. Reuben was killed in a hydraulic mining accident near Nevada City, Calif. August 14, 1860. Buried in the Grandview Cemetery, Louisa County, Iowa. Robert Wallace Latta b. 24 May 1828 in Ross, Ohio; d. 11 Nov 1877 in Nevada City, Nevada; m. Sarah Alameda Darling (1835 Michigan – 1887, Covina, Calif) Killed in November 1875 near Nevada City, Calif. by being struck on the head with a green pile pole in construction a fence to confine some cattle; In 1851 went to Calif. In the 1860 census, R W was a merchant in Napa, Napa, California. In the 1870 census, R W was a stage proprietor in Nevada City, California. Josiah Harvey FOSTER’s daughter Jeanette was born 14 Apr 1832 in New York. In the 1860 census, Jeanette and her husband Charles Bradley were farming in Arlington, Columbia, Wisconsin. They moved to Montana Territory where their son John J. Bradley was born about 1866. In the 1870 census, Charles and Jeanette were farming near Virginia City, Montana. In 1863, the area around Virginia City was part of the Dakota Territory until March, when it became part of the newly formed Idaho Territory. On May 26, 1864, the Territory of Montana was formed, with Bannack briefly becoming the territorial capital, Virginia City would quickly take that title from Bannack. In May 1863, a group of prospectors were headed towards the Yellowstone River and instead came upon a party of the Crow tribe and were forced to return to Bannack. 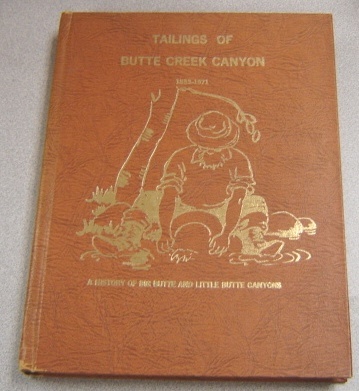 Gold was discovered on the retreat trip when Bill Fairweather stuck a pick near Alder Creek joking he might find something to fund some tobacco. 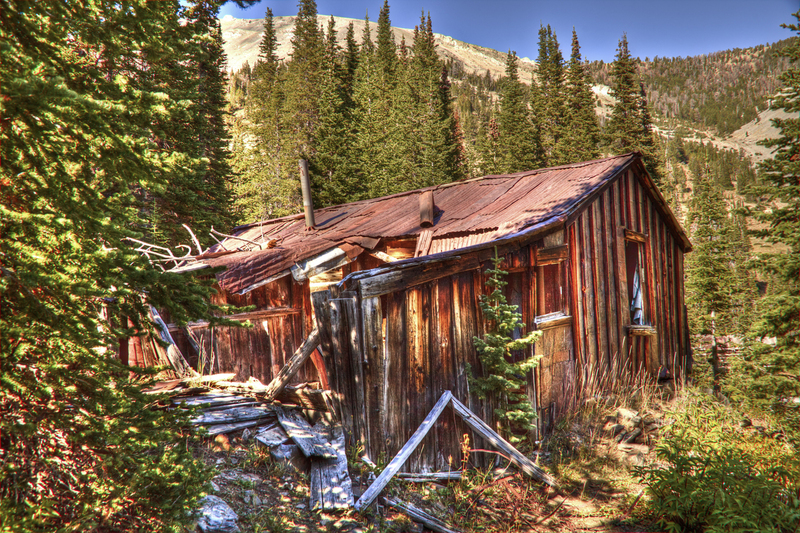 The prospectors could not keep the site a secret. They were followed on their return to the gold bearing site and set up the town in order to formulate rules about individual gold claims. On June 16, 1863 under the name of “Verina” the township was formed a mile south of the gold fields. The name was meant to honor Varina Howell Davis, first and only First Lady of the Confederate States of America during the American Civil War. Verina, although in Union territory, was founded by men whose loyalties were thoroughly Confederate. Upon registration of the name, a Connecticut judge, G. G. Bissell, objected to their choice and recorded it as Virginia City. Within weeks Virginia City was a veritable boomtown of thousands in the midst of a gold rush with no law enforcement whatsoever, except for vigilantism. Most of Montana became under the rule of a Vigilance committee, the infamous Montana Vigilantes, which operated on both sides of the law. Their secret motto, 3-7-77 is still on the badges, patches, and car door insignia of the Montana Highway Patrol. In 1864, the Montana Territory was carved out of Idaho Territory. Virginia City, claiming 10,000 citizens, was made the capital of the new territory in 1865. The first public school was built in 1866, but already the most easily accessible gold from placer mining had been exploited and development and population in the territory was moving towards Helena. 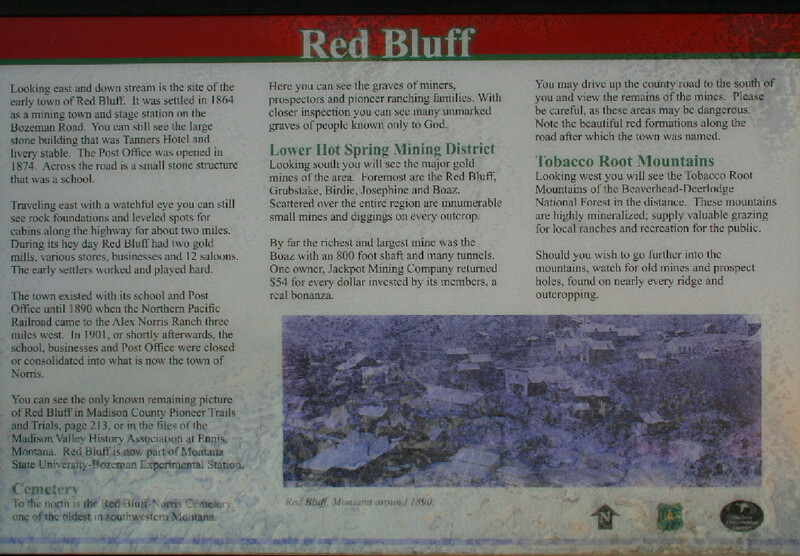 Red Bluff was settled in 1864 as a mining town and stage stop on the Bozeman road. During it’s hey day, Red Bluff had two gold mills, various stores, businesses and 12 saloons. The town existed with it’s school and post office until 1890 when the railroad came to the Alex Norris Ranch three miles to the west. Could this have been Jeannette’s hotel? I haven’t found out, but a clue is Bradley Creek Road is the main highway running south from Red Bluff. The Tanner brother initials were A.W. and C.E. Red Bluff Cemetery – Notice the “green” countryside of May & June compared to the “yellow-wheat” color of the other ten months of the year. Today Red Bluff is a Montana State University Research Ranch located near Norris in Madison County, Montana, along the west side of the Madison River. 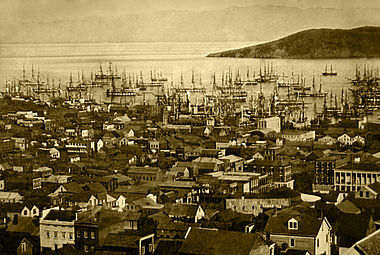 1870 – San Francisco, California. 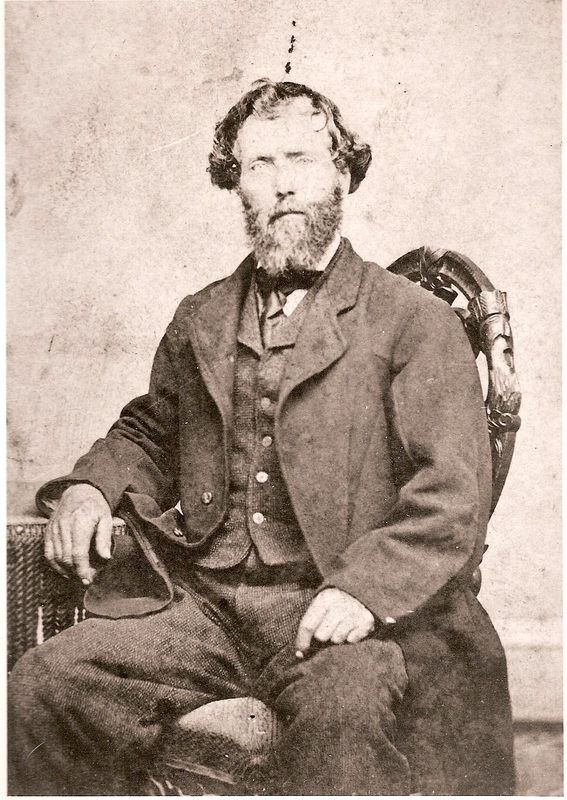 Samuel FOSTER’s grandson John Hiram Fuller ( b. 7 Aug 1806 in Livermore, Androscoggin, Maine; d. 1887 San Francisco); m. Hannah C. Hinds (b. 18 Apr 1809 in Livermore, Androscoggin, Maine – d. Aft 1880 Census, San Francisco) In the 1860 census John H and Hannah C. were keeping a hotel in LaGrange, Penobscot, Maine. In the 1870 census, John, Hannah, Hinds and Florette were living with their son-in-law and daughter James and Eliza McKinley in San Francisco Ward 10, San Francisco, California. James was a dealer in wood and coal. In the 1860 census, James McKinley (b. 1834) was mining with his brothers in White Oak, El Dorado, California so it looks like Eliza might have met him in California. In the 1871 voter registration, John Hiram’s sons Hinds (b. 1834) and Frederick Oldham (b. 1836) were living together in Oakland, California. Hinds was a teamster and Frederick was a policeman. Seth Richardson, Sr., married Philena Dearborn, at Augusta, Maine and was the father of 12 children. He removed to Oregon in 1877, arriving with father, mother, children, and grandchildren in Portland on May 13. He came to Pendleton the following August, arriving here on the 7th, where he has since resided almost continuously. Seth Richardson, of the Klondike Restaurant, is the oldest child of the deceased. A victim of paralysis at the age of Eighty-Three. Seth Richardson, Sr., was born at Norton, Mass, on September 20, 1816 and died at his home a short distance west of Pendleton on Friday, January 27, 1899, at 9am. He was stricken with paralysis three or four years ago. Six months ago he had an attack of la grippe, which followed more recently with paralysis of the back, combined to produce death. He live a life of peace ad usefulness and shortly before he died, as he realized that death was near, said to those surrounding his bedside: “I cannot stay much longer; my time is nearly up. I am ready to go.” He died in perfect peace, as though going to sleep. The funeral took place on Sunday forenoon from the late home of deceased, and was conducted by the Rev. FL Forbes, of Pendleton Academy. Interment was in Olney Cemetery. Joseph COLEMAN’s grandson Nathaniel Bryant Coleman was born 13 Oct 1833 in Vassalboro, Kennebec, Maine. He married 1866 to Leonora Wilson (b. Sep 1837 in Gorham, Cumberland, Maine – d. aft 1920 census in Redwood, Santa Clara, California) Nathaniel died 3 Mar 1927 in Redwood Township (Los Gatos), Santa Clara, California. Nathaniel enrolled in Colby College in 1859 and in 1860 transferred to Princeton. The death of a brother called him back to Maine and the outbreak of war put an end to his college course. He enlisted as a Hospital Steward on 15 Aug 1862 in Company S, 17th Infantry Regiment Maine on 15 Aug 1862. Promoted to Full Assistant Surgeon on 22 Nov 1863. Mustered Out Company S, 17th Infantry Regiment Maine on 4 Jun 1865 at Washington, DC. In the 1880 census, Nathaniel was a physician in San Francisco. 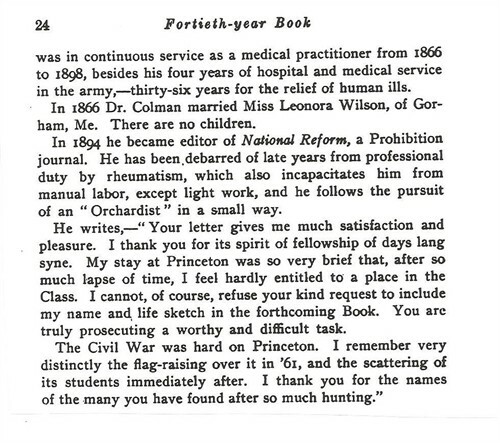 Charles Milton Coleaman’s son Nathaniel was a doctor and Civil War surgeon. George MILLER‘s son Ira was born 18 Sep 1838 New Brunswick, Canada. In 1845, he immigrated with his family via wagon train to Palmyra, Jefferson County, Wisconsin. Ira was a private in Company B, 1st Wisconsin Cavalry in Civil War and in 1870, Ira and his wife Louisa were farming in Sherman, Monona, Iowa. In 1880 Ira and Louisa were living in Monterey, Monterey, California where Ira worked as a laborer. Ira sold 40 acres of land that he had cleared and planted to orchard in Sebastapol, California to his brothers Eugene and Frank MILLER. Neighbors who knew of the tremendous effort he made to develop the place said he was a powerful and vigorous man. Ira died 19 Jul 1897 in San Jose Calif.
Isaac MILLER’s grandson Edward T. Tracy (29 Aug 1838, New Brunswick – 12 Oct 1919 Butte, SilverBow, Montana); m1. 21 Jul 1859 in Houlton, Aroostook, Maine to Harriet A. Gilkey (28 Jun 1838 New Brunswick – 1866 New Brunswick) . m2. in 1869 to Almeda Estey (26 Oct 1851 Houlton, Arrostook County, Mainen – 27 Dec 1929 in Butte, SilverBow, Montana.). Lion City was the second community founded in the Bryant Mining District, following the formation of the town named Trapper City. As Lion Mountain proved to be rich in ores, the residents moved their homes and businesses closer to the mining activity. 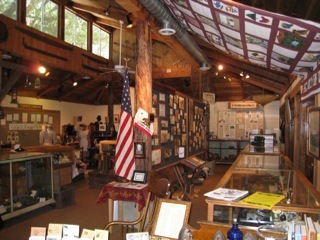 The first post office in the area was at Trapper City and was referred to as the Burnt Pine Post Office. As the mines owned by the Hecla Consolidated Mining Company began to close in the early 1900s, the residents slowly trickled out of the area. Lion City’s neighbors, in Hecla, were often surprised with snowslides that destroy almost everything in thier path. Businesses included, grocers, dry goods, saloons, blacksmith shops, stage operators and brothels. The townsite of Lion City has long been abandoned. It is located about 12 miles west of Melrose at the head of the Trapper Creek drainage, adjacent to Hecla. On your way, you will pass through the old townsite of Glendale, which housed the smelting facilities for the mining district. One should prepare for a slow ride to the site as the road is very primitive and accessible with a 4WD or ATV. 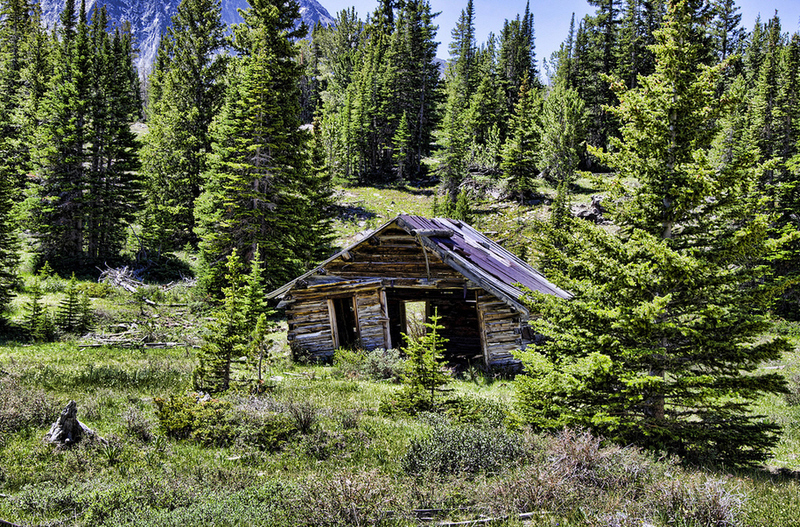 Lion City Cabin Today – Edward Tracy lived with three other men. Two brothers Henry and Alfred Blackmore in their early twenties also from New Brunswick and a fifty year old Italian named Antonio Gereomene. William L. LATTA‘s grandson James A Latta was born 8 Jun 1821 in Ross, OH and died 11 Apr 1884 in San Pasqual, San Diego. In the 1880 census, James was a single Apiarist in San Pasqual, San Diego, California. He raised bees and joined by his nephew, William G. Latta, son of John Briggs Latta who, when James died, found the title imperfect so he filed on it. James died single. Guilford Dudley COLEMAN’s daughter Eleanor married Ernest Wight King 5 Nov 1885 Anoka Minnesota. Eleanor and Ernest continued to live after their marriage till after Ruby was born (1886) when the father went west to Great Falls, Montana. After Gladys was born (1888) the mother traveled west with the two little girls and moved onto a homestead. After proving up on it the family moved to Great Falls where Ernest King served as superintendent of the water works and city engineer till he was asked to take charge of the Gilt Edge Mine where the family, now including Dana (1892) and Phoebe (1895) moved. After three years there, they moved to Lewistown, Montana, for better school facilities, and later to Bozeman where the Montana State College was located. Here Ruby and Gladys attended, Ruby graduating in Domestic Science and Gladys specializing in Music and Art. 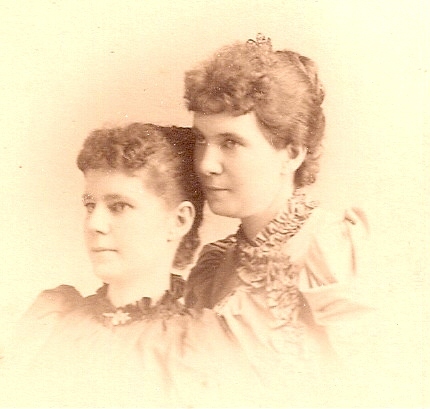 Ruby and Gladys were both married in Bozeman, having met George Hogan and Ben Law while living there. Phoebe stayed in Bozeman with Gladys and Ben until she was graduated from high school when she went to Nevada and entered the University of Nevada a year after Dana had started his course there. At the beginning of his third year Dana was drowned while swimming in Manzanita Lake on the University of Nevada campus with some of his fraternity brothers. Eleanor’s brother Ammi went west too. In the 1900 census, Ammi was a bookkeeeper at a water company in Great Falls, Montana. Harvey Latta MINER always went by his initials H. L. , although in the Miner family, he was just “dad”. He was born on 26 Jan 1873 on the banks of the Missouri River in Rock Bluff, Cass County Nebraska. The minister of the town of Rock Cliff, Nebraska got H.L. a job in a lumber mill in Fowler, California, so he came out by himself as very young man. His parents Philo Sidney MINER Jr. and Calista Jane LATTA and brothers joined him in 1890. He was one of a crew of men who carried the lumber on their shoulders (that was before the days of lift trucks) His right shoulder was lower than the other, due to carrying lumber for years. Later on he became boss with over 200 lumbermen working for his business. At his 90th birthday celebration that “ol boy” don’t look a day older than he did twenty years ago. He does all of the irrigating and cultivating on 27 acres of vineyard and sems to thrive on it. His daughter Avalyn lives close by and he gets some of his meals there, but most of the time, he lives there all alone. Hope I can do that well. H.L. 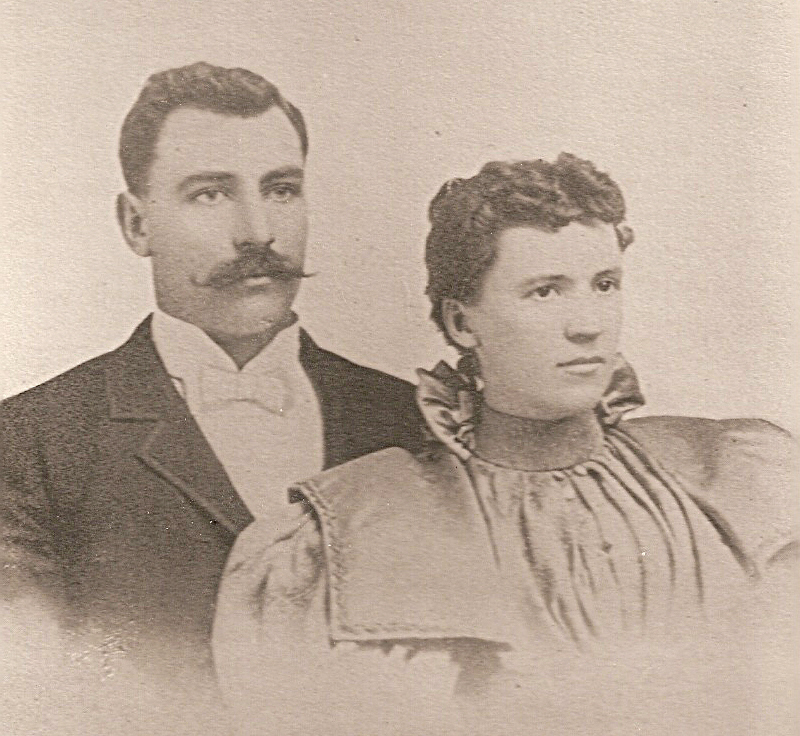 MINER married Cora Lorena McCAW in Oct 1895 when he was 22 years old. Robert McConahay LATTA‘s son James Thompson Latta was in California by 1889. In 1920 he owned a fruit ranch near Selma. In the1930 census, James and Mary were living in San Diego where James worked as a janitor. 1937 in San Diego, CA. Thomas BLAIR’s son Thomas Wesley Blair was born 15 Jul 1866 in Franklin, Huntington, Quebec. In the 1900 census, Thomas was a fruit grower living in Ophir, Placer, California. Wesley T Blair 33, Lizzie Blair 38, Lillian Blair 1, Margaret Greer 70, F* Ogawa 20, Y* Slakuvane 25. Like his brother William Lewis, he states that both his parents were born in New York. Ogawa and Slakuvane (sorry for the misspelling, but those seem to be the letters the census worker wrote) were farm laborers who had come from Japan in 1896 and 1899 respectively. 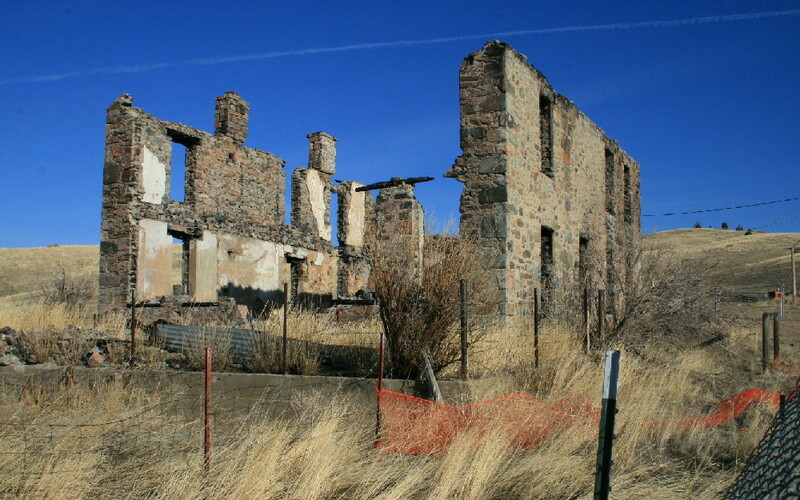 Ophir, also known as Ophirville, was a ghost town in Placer County, California. The community was named after King Solomon’s treasure. Now a suburb of Auburn, it was a boomtown of the California Gold Rush. 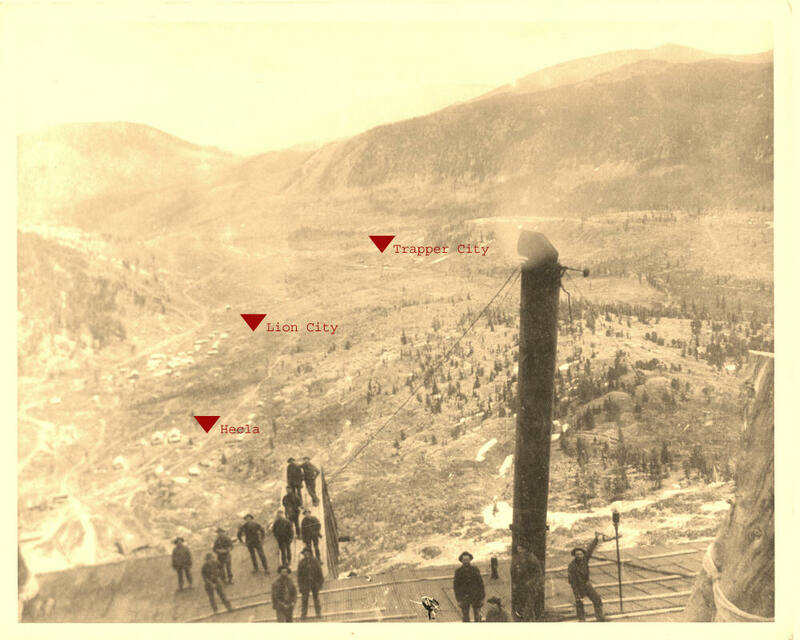 In 1852 it was the center of the local gold mining industry, and the most populous town in the county. After the gold rush, the area was planted in vineyards and orchards, and during Prohibition just in orchards. Beginning in the 1970s vineyards again returned to the area. Today, local services for Ophir come from Auburn, 3 miles to the east. Manuel immigrated in 1869 or 1871. In the 1900 census, Manuel was working as a blacksmith in Selma, Fresno, California. In the 1920 census, Laura and Manuel were still living in Selma and Manuel was now a real estate agent. In the 1900 census William SHAW’s son Robert was a tenant farmer in Spanish Creek, Gallatin, Montana. The family employed a servant Roy Kimbal (age 24.) Spanish Creek is south of Bozeman on US 191 on the road to the west entrance of Yellowstone. The Greek Creek to Spanish Creek section of Gallatin River in Gallatin County is 13 miles long and it is classified as a class II-IV section by American Whitewater. F.N. Miler and Miss Agnes Henry were united in wedlock yesterday noon at the residence of Lester E. Walker on East Ventura Street. Rev. I.D. Wood performed the ceremony. Only the relatives of the contracting paries were present. The ceremony took place in the parlor which had been tastily decorated with trailing vines for the occasion. The bride was attended by her sister Miss. Kathryn Henry. Afer the brief, but impressive ceremony had been performed all sat down to a wedding dinner. 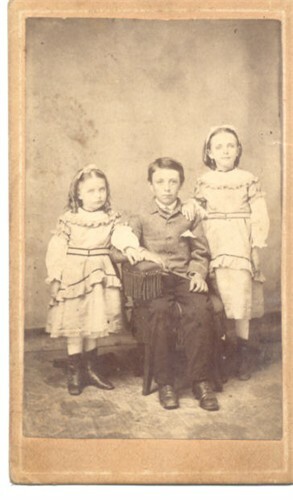 Those present were Mr. and Mrs. L. E. Walker, Miss Kathryn Henry, Miss. Alice Miller of Santa Rose, Miss Florence Puffer, Miss Mabel Morris and Ira A. Miller of San Jose. Mr. and Mrs. Miller left on last evening’s train for San Diego where they will make their home. Miss. Agnes Henry has been a teacher in the schools of this county for the past ten years, six in the schools of this city. During this time she has gained a wide circle of friends besides establishing a reputation as a successful teacher. Member of Committee on Resolutions at Stockton Holidays, 1893 S.T.A. George MILLER’s son Eugene Edgar Miller (1850 – aft. 1910) moved to Sebastopol, California in 1891. After an especially hard Iowa winter, he threw the snow shovel on the ground and said he was never going to shovel any more —– snow. So Eugene and Frank MILLER decided to buy the 40 acres that their brother Ira had cleared and planted to orchard. Neighbors who knew of the tremendous effort he made to develop the place said he was a powerful and vigorous man. 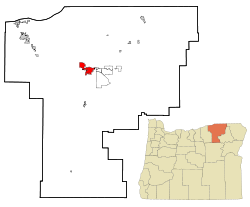 He had moved to Ashland Oregon by the 1910 census. When Howard Irwin SHAW’s father died in Wisconsin in 1886, the family moved to Bozeman, Montana where Howard was a member of the first class at Montana State College. 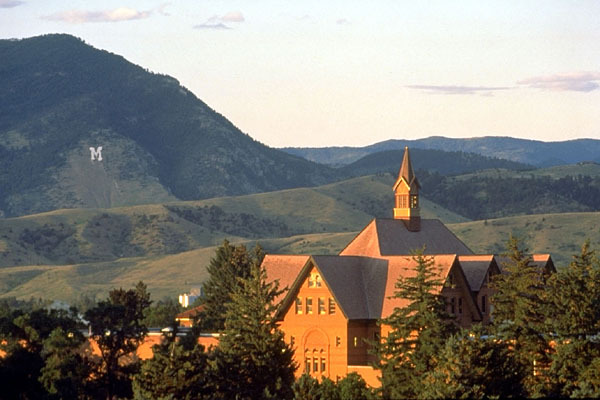 MSU was founded in 1893 as the state’s land-grant college, and named the Agricultural College of the State of Montana. After his education as a mining engineer, he went to work at the mines in Gilt Edge where he boarded at Eleanor and Ernest King’s house. He met his future wife Nellie Coleman who was visiting her sister Eleanor. Nellie used to eat her dinner on his plate after he left. Howard and Nellie drove in a blizzard to Lewistown to be married. The story of Gilt Edge is told on my Western Pioneers page. William A. McCAW’s daughter Iva was born 21 Jul 1865 in Dixon, Preble, Ohio. She married 10 Apr 1891 Chepeta, KS to Samuel B Lawrence. After 1895, Samuel and Iva moved to California, but Samuel died in 25 May 1899 in Redlands, California. In the 1900 census, Iva and her daughter Mabel were living with her father-in-law Samuel Lawrence Sr. and future second husband Lewis W. Morrison in Redlands, San Bernardino, California. 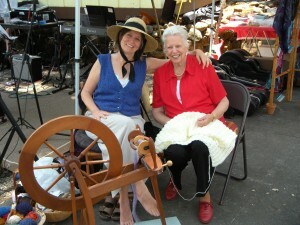 Iva was head of household and made a living sewing. Lewis was a farm laborer. 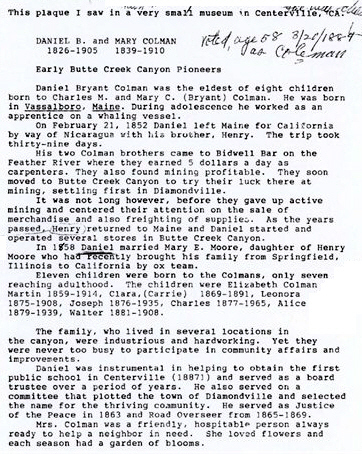 Several of Isaac MILLER’s and Abraham ESTEY’s grandchildren were pioneers in Flathead County, Montana. Their parents George Dow Estey and Deborah Maria Miller immigrated from New Brunswick to Palmyra, Jefferson County, Wisconsin on 1 Sep 1845. Our ancestors George MILLER and Mary ESTEY (Deborah’s brother and George’s sister) accompanying them on the trip by wagon train to Wisconsin.. In the 1900 census, Amos Estey and his brother Orville were growing fruit in Jocko, Flathead, Montana. Caroline, Amos’ future wife was living in Jocko too, with her first husband George Larkin. The Jocko Valley (Google Satellite View) is located in western Montana, 30 miles north of Missoula on land of the Flathead Indian Reservation. Orville Estey’s wife Margaret I. Grant (18 Mar 1865 Pictou, Nova Scotia – 4 Apr 1950 Deer Lodge County, Montana) came to the Flathead in 1899 and lived on the East Lake Shore until 1921 when she moved to Kalispell. She and her sister, Mrs. J. C. Wood, planted the first cherries on the East Lake Shore shortly after coming here. She was the first teacher at Woods Bay school. In the 1920 census, Orville still had a fruit farm in Jocko, Flathead, Montana. Their brother Alvord P. Estey died 13 April 1894, Hunter Hol, Montana. Alvord’s widow Ella remarried and in the 1900 census, Ella and Philip Smith were farming in Kalispell, Flathead, Montana. In the 1900 census, Dudley COLEMAN’s grandson Willis H. Hathaway (b. 7 Apr 1859 in Stillwater, Washington, Minnesota; d. 25 Dec 1929 in Portland, Multnomah, Oregon) and his wife Mary Josephine Woods (14 Dec 1865 in Ohio – 1945 in Portland, Multnomah, Oregon ) lived in Giltedge, Montana where Willis was a blacksmith. My grandmother was born in Giltedge that same year. This one doesn’t meet my 19th Century criteria, but since the story includes gold mining, it was fun to throw in. 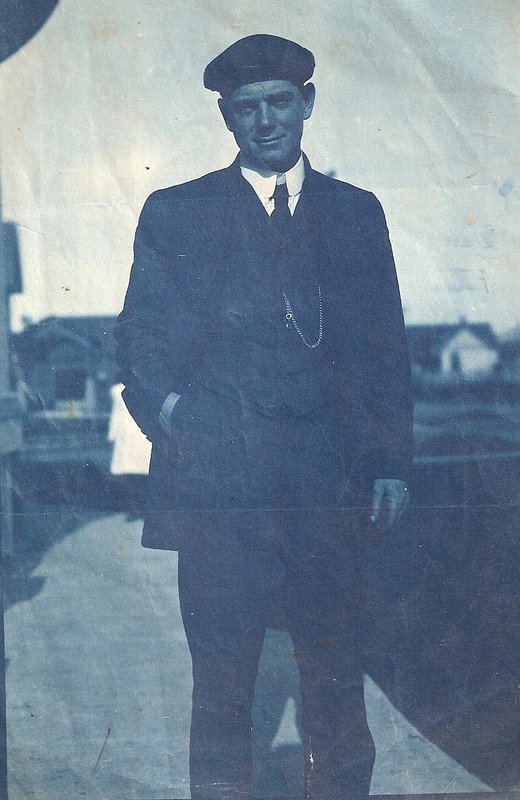 Samuel CRUTCHFIELD Jr’s grandson Harvey Samuel Crutchfield was born 15 Apr 1887 in Hinchinbrook, Huntingdon, Quebec. Harvey died 30 Jul 1957 in Yuba, California, He married Alma M. Kiel (b. 23 Apr 1894 Washington – d. 13 Oct 1961 Sutter, California) Her parents were born in Germany. Harvey immigrated in 1925. In the 1930 census, Harvey and Alma were living in Grants Pass, Josephine, Oregon where Harvey was a clerk and Alma was a practical nurse in a private home. Their two children were born in Canada, Harvey Ward in 1917 and Carrie in 1920. By 1935, the family had moved to Yreka City, Siskiyou, California where Harvey was a clerk in a feed seed store and Harvey Jr was a gold miner. Living in Trowbridge, Sutter, California, in 1944. This entry was posted in Fun Stuff. Bookmark the permalink.